FINAL SALE. This is a cute girly top that needs few accessories to make a big impact. 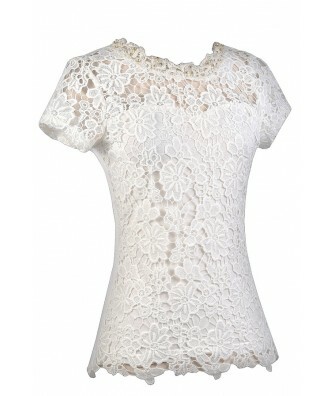 The Pearl Glam Embellished Crochet Lace Top is lined in the front from the bust down. The neckline and sleeves are semi-sheer. 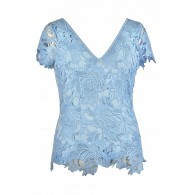 It is made of a soft knit fabric and has crochet lace overlay on top in the front. 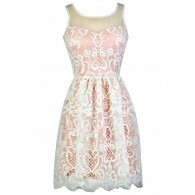 It has a rounded neckline, cap sleeves, and a fitted cut. The back is plain and made of a knit fabric. The best part of this top has to be the pearl and rhinestone embellishments at the neckline that dress it up. This is a cute top to pair with denim or skinnies. 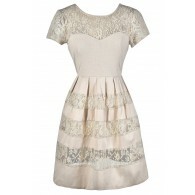 The Ivory version looks great paired with black skinnies or trousers and heels. Details: Lined below bust in front. 95% rayon, 5% polyurethane. Lining: 100% polyester. Contrast: 100% cotton. Dry clean only. Small measurements: Length from top of shoulder to hemline: 26". Bust: 34". 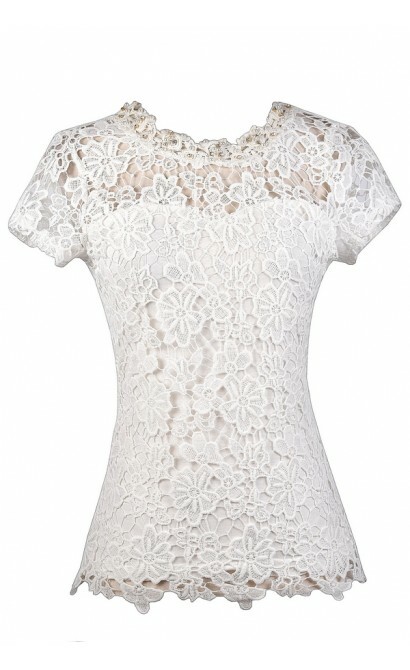 You have added Pearl Glam Embellished Crochet Lace Top in Ivory into Wishlist. 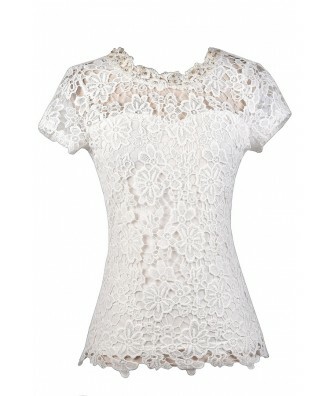 You have added Pearl Glam Embellished Crochet Lace Top in Ivory for Stock Notification. 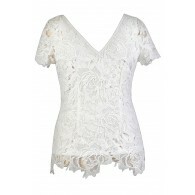 You have set Pearl Glam Embellished Crochet Lace Top in Ivory as a loved product. 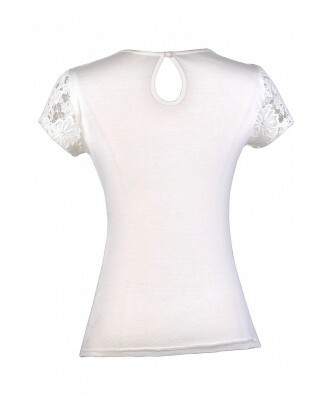 You have removed Pearl Glam Embellished Crochet Lace Top in Ivory as a loved product.